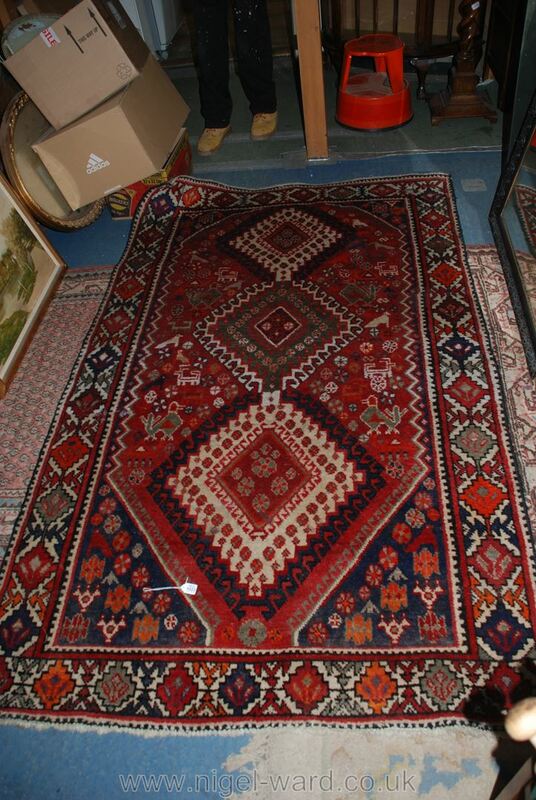 A red patterned wool Rug. Lot 1022 A large Mirror with black and gilt frame. Lot 1024 Five large aluminium camera flight cases.